Cable Bay provides a memorable vineyard experience. A cellar door for sampling award-winning wines, exquisite cuisine at the two restaurants, along with expansive lawns and stunning sea views. Cable Bay is a ‘must-see’ for visitors to Auckland. 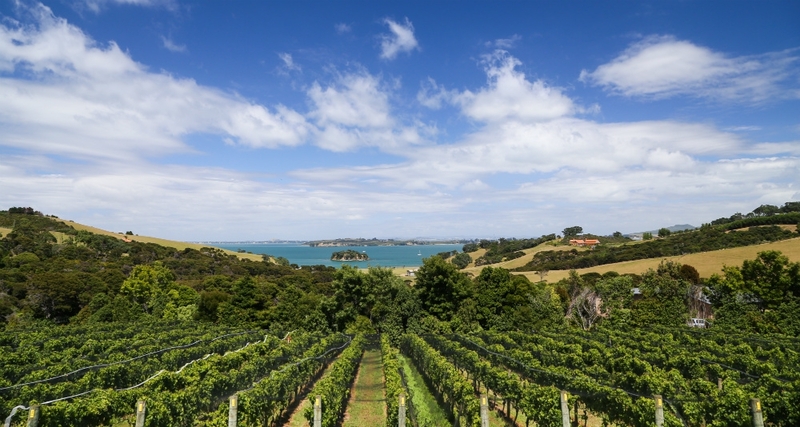 Located on the beautiful west coast of Waiheke Island, Cable Bay Vineyards has grown from a vision, to hand-craft outstanding wines from the highest quality fruit, grown in small lot vineyards. The first vineyard was established in 1998 with Chardonnay and Bordeaux varieties. Today, more than 10 different varieties are grown which have received numerous awards confirming the dedication to producing expressive New Zealand wines, known for their subtlety, elegance and depth. The stunning venue on Waiheke Island features the elegant, yet relaxed, Dining Room with an à la carte menu offering fresh, vibrant and beautifully plated dishes which showcase seasonal produce from the organic kitchen gardens. The Verandah restaurant’s stylish and contemporary setting offers a Mediterranean-inspired menu of sharing plates. The venue includes a working winery, cellar door for wine tasting, private event rooms, and the beloved grass lawn with breath-taking sea views. Picnic rugs, bean bags, and shaded outdoor lounge settings provide the perfect spot to stretch out and relax. Cable Bay Vineyards is an established venue, with a reputation for spectacular views, stunning food and outstanding wines, with an unrelenting focus on quality and service.